Snow on your Roof - Do you treat the symptom or the cause? Why Build an Energy Star certified home? Do you treat the symptom or the cause? Believe it or not snow on your roof can be caused by the lack of heat such as an unheated garage or a well-insulated house as well. In the past houses didn’t have much insulation and oil was cheap and firewood plentiful. The heat generated by the owner went right through the attic and melted the snow off the roof. Driving around you could still see many roofs with sections of no snow. The unheated garage has no heat or insulation so snow can only be melted by the sun, and well insulated homes have very neat snow piled on their roof also dependent on the sun to melt. The problem house is the one that is poorly insulated, the lost heat from the building is not enough to clear the volume of snow that we are experiencing, so it only melts the bottom layer of snow creating much heavier water & ice laden snow. The results are roof to ground ice cycles, or worse yet roof frailer. Today you may have to treat the symptom, remove the snow! Tomorrow treat the cause, PROPERLY insulate the Attic and the Basement, and yes the basement. Those interior walls have no insulation and the exterior walls are poorly insulated. These are open pathways for heat to find its way into and through the poorly insulated attic, thus causing Ice Dams and very large Ice cycles. But beware the roof of a newly air sealed and insulated house was not designed for the snow loads we now build roofs to. Thirty + years ago the design snow load on a roof was 30-40 pounds per square foot (PSF). Today we design roof loads between 65-110 PSF. This means when you insulate your home you must confirm that your roof could handle the heaver snow loads. Don’t be fooled into just adding insulation to the attic floor, heat loss is also caused by airflow of heated air. 40% of a home’s heat loss is through infiltrason, that’s drafts you feel every day. The attic and basement must be air sealed before any insulation is added. The sequence is snow on the roof, building heat loss causes ice cycles, ice cycles create ice dams, ice dams cause back up of water which leaks into your attic and home causing major damage. So treating the symptom by removing the snow doesn’t treat the cause at all! It’s a temporary fix, which will be repeated year after year, snow storm after snow storm. Investigate and treat the cause now and enjoy the winter we are blessed with. Tortorice's Tips are written and republished by Bob Tortorice, our owner and head contractor. Bob Tortorice has more than 35 years of experience in residential and commercial construction and shares his knowledge through his monthly article. Are you a do-it-yourself kind of person? Someone who likes to save money while taking pride in the work you’ve done? 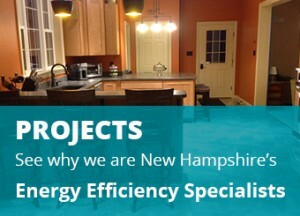 Are you considering improving the energy efficiency of your home? 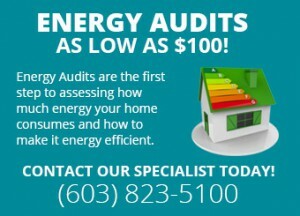 This time, instead of figuring it out on your own, you might want to consider calling in a professional to conduct an energy audit. I guarantee it will save you time, money and headaches. Copyright © 2019 Building Alternatives - All Rights Reserved.